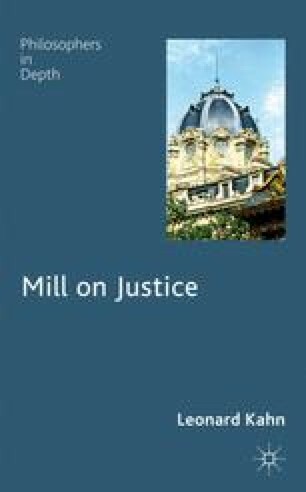 Among the most important of Mill’s many contributions to the utilitarian tradition is the space he finds within utilitarianism for justice, rights, and rules. In doing so, he lays the building blocks of an attractive and viable form of utilitarianism — a subtle, indirect type of utilitarianism that is resistant to a wide range of familiar criticisms. A number of philosophers these days, myself included, find themselves drawn to a utilitarianism of the sort Mill adumbrated.1 However, experts on Mill disagree over the precise interpretation of his normative theory. And no one denies that some passages in Mill’s various writings on ethics are open to rival readings and that others are difficult to reconcile with one another. He neglects to fill some gaps in his arguments and leaves some interesting questions unanswered. Moreover, Mill wrote in a different time. Some issues that were important to him are less important to us, and vice versa.